Genuine Kia Sportage all weather rubber floor mats. 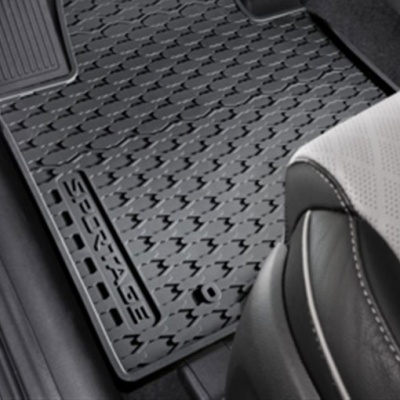 Tailor-made to fit the Kia Sportage's footwells, these extremely durable mats trap water, mud, sand and road salt, with a special finish that makes them very easy to keep clean. The 2 front mats are branded with the Sportage logo.